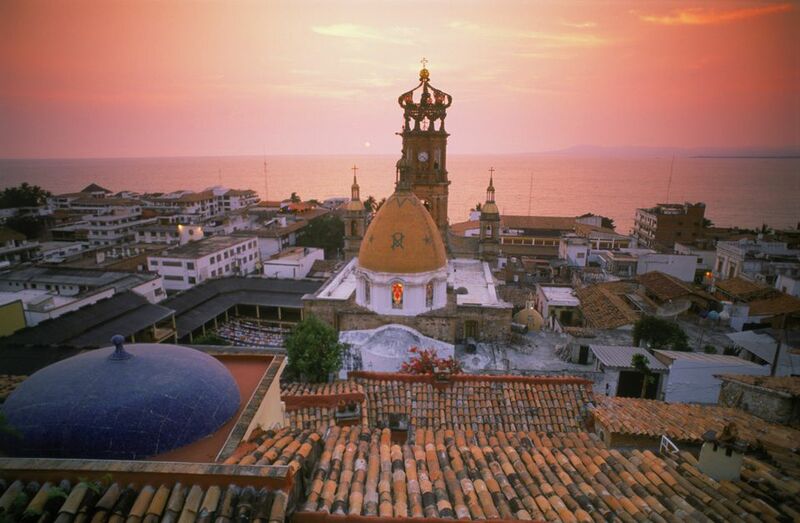 Puerto Vallarta is one of the most popular destinations on Mexico's Pacific coast. Located on the lovely Banderas Bay, the city has both modern and historical elements and romantic charm. It's a gay-friendly destination but is also popular with families. Visitors are spoiled for choice when it comes to activities in Puerto Vallarta. Whether you’re a foodie, an adventure-seeker, an art enthusiast or a beach bum, this city has something tailored just for you. Puerto Vallarta’s beautiful Malecón, the beachfront boardwalk, is a mile-long stretch that doubles as an open-air museum. Start at the northern end of the route and make your way towards the Plaza Principal, admiring the impressive collection of sculptures and sandcastle art along the way. Playa Los Muertos in the Romantic Zone is a beautiful beach and is perfect for swimming—and for a day of fun in the sun, Mantamar Beach Club is a great choice. If you'd like to go farther afield, you'll find that several stunning and secluded beaches can be found in the southern part of Banderas Bay, accessible only by boat. 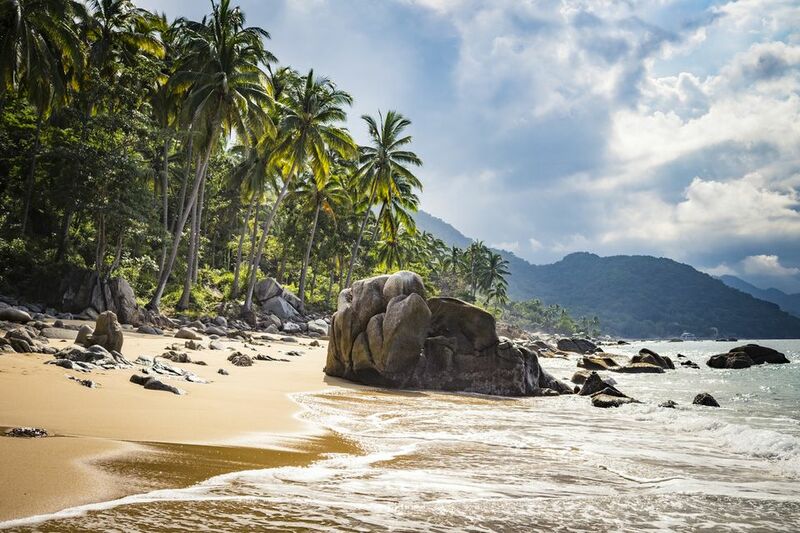 Las Caletas beach was once Hollywood director John Huston's private hideaway but is now a beach getaway spot for families and couples. Playa de Las Animas, a protected cove flanked by rocky promontories with a scattering of palapas and seafood restaurants; Playa Quimixto, a sweet fishing village backed by jungle whose beach features warm water and white sand, and Majahuitas, an unspoiled tropical paradise of palm trees and crystal clear water, are three of the highlights. Water taxis depart from Los Muertos Beach. On the water, there are numerous opportunities for snorkeling, diving, dolphin, sea lion, and whale-watching, or sailing and touring to remote beaches and islands, like the picturesque Islas Marietas. Take a snorkeling excursion to Los Arcos, two small islands with arches that shelter a variety of sea life. From November to March, Banderas Bay is home to humpback whales, migrating from their polar feeding grounds to breed and play in these safe warm waters. Go in search of these magnificent creatures, with their distinctive fluked tails, on a day trip with one of Puerto Vallarta’s many tour companies. Vallarta Adventures employs a light plane to spot the creatures from the air and radio to the ship’s captain, so visitors have a high chance of spotting whales in season. From the sculptures along the Malecón to several fine art galleries in the Romantic Zone, you'll find art pretty much everywhere you look in Puerto Vallarta. And no matter your budget, you can take some art home with you as a souvenir of your trip: there are stands along the boardwalk selling art by local artists, and you'll find more upscale choices in the nearby galleries. Every Wednesday evening between October and May you ​can take part in the Historic Center Art Walk, a program in which 14 of Puerto Vallarta’s art galleries—all located within roughly a 12-block stretch of the centro histórico—open their doors to the public from 6 to 10 pm. There are complimentary cocktails and plenty of opportunities to add an up-and-coming Mexican contemporary artist to your collection. Take advantage of Puerto Vallarta’s excellent dining scene, one of the most sophisticated in Mexico. Eating spots range from rustic and charming—like the River Café, with its praiseworthy brunches and relaxed ambiance by the Rio Cuale—to high-end tables like the acclaimed Café des Artistes and Mediterranean hotspot Trio. Further south, the European-inspired menu at Blanca Blue, the restaurant of luxury resort Garza Blanca, is the equal of any top-end restaurant in New York or Mexico City. If you want to try the street food, book a tour with Vallarta Food Tours for a taco tour that will introduce you to some fabulous tacos and other traditional Mexican foods served up by local businesses. If you visit in mid-November, be sure to take part in the annual Gourmet Festival, during which the city’s best restaurants pull out all the stops to produce fabulously inventive set menus. Aside from the Malecón, there's another spot where you can take a stroll and enjoy the sights of Puerto Vallarta: the Marina. If you're heading off on a sailing excursion, you'll likely start here, but it's a fun place to visit just to wander around and see the boats. There are a variety of restaurants and shops, but the best time to come is on Thursday evenings when there's a farmer's market and you'll also find local artisans selling jewelry, clothing, and a variety of souvenirs. Director John Huston is honored with a statue on the island. He directed the film Night of the Iguana starring Richard Burton, who brought along Liz Taylor with him for the making of the picture, bringing the world's attention to this then-unheard-of town on Mexico's Pacific coast. Near the statue, you'll find steps leading up to the neighborhood where Taylor and Burton lived. Liz Taylor's home is now a boutique hotel, Casa Kimberly. Puerto Vallarta is famous for its sunsets. Some people plan their day around enjoying the evening celestial spectacle. A few good places to see the view include the Muertos pier, Vista Grill restaurant, or from a yacht on the bay. After the sun goes down, there's still plenty to do. Puerto Vallarta's thrilling nightlife includes a variety of nightclubs along the Malecón, as well as several more laid back options with live music nearby. To experience the nightlife with local flair, join a bar hopping tour with Gay Vallarta Bar Hopping.